I’m not even sure where to start this post. I’m still in awe. Yesterday, Gerry came up to me while Howie was taking a “break”. That’s what we call his time in his room when he’s just out of control. He needs to have the quiet alone time to regroup before he hurts himself or someone else. He pulls me aside, quiet and respectful. Again, he doesn’t want his brother to hear. 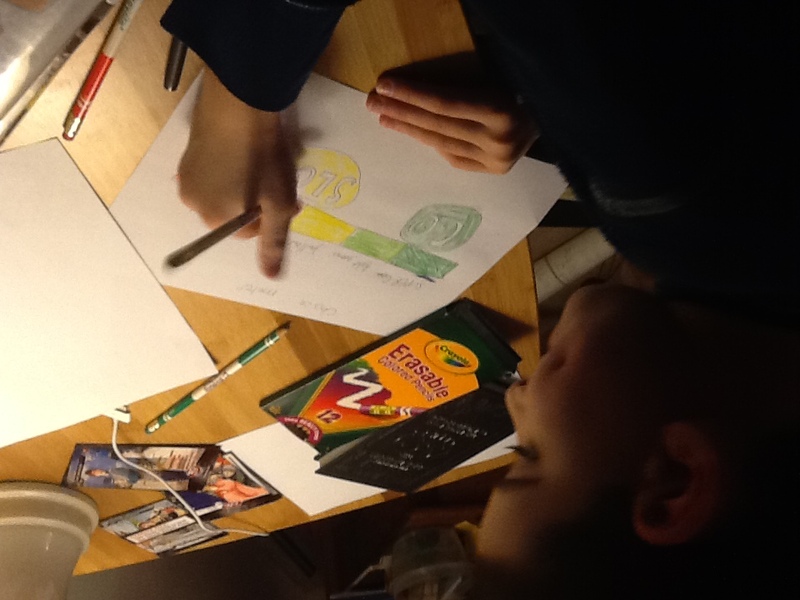 I explained that he didn’t have an ADHD diagnosis…yet. But we know that he has difficulties with attending in class and that he can get hyperfocused on one activity, so some of what the movie talked about would sound like how Howie behaves. Yes, that’s true, I said. I thought about my friend Jess and the conversation she had just had with her daughter. Was he worried for Howie or worried that he’ll be the one taking care of him? It will be okay, I said. That’s why he has his home therapists coming in all the time. That’s why he has one-on-one aides helping him now. We’re doing a lot for him now to teach him coping strategies to help him in the future. “I’m not sure it’s working,” he mumbled, as he walked away. Later that night, Gerry calls me in to his room. He wants to show me his latest “invention”. 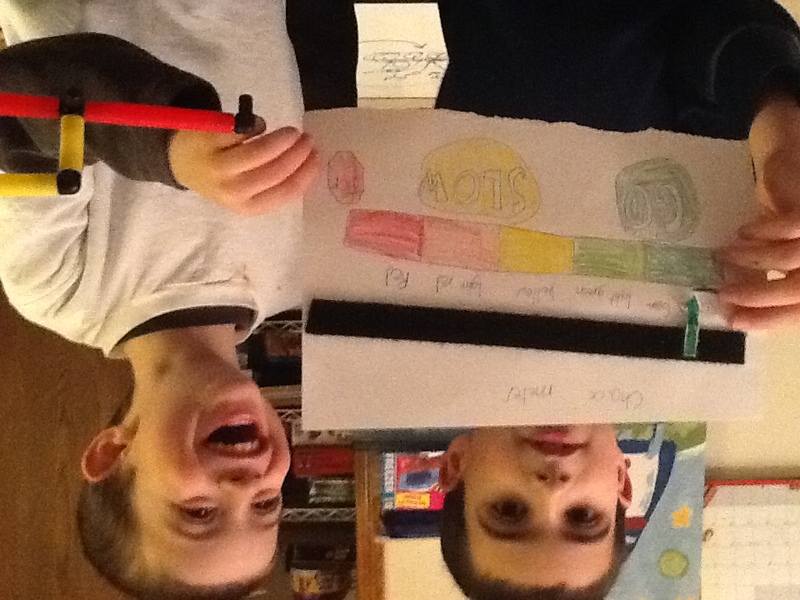 “I made a ‘green choice/red choice’ meter,” he said, alluding to the words Howie’s school uses for appropriate behavior (green choices) and inappropriate or dangerous behavior (red choices). “Can I show him?” he asked. Of course, I said. But I’m the one who tells him if it’s a red choice or green choice. The feedback has to come from me, not you. It’s not your job to correct his behavior. Gerry called Howie in to his room, which is a miracle in itself. Usually, the place is off limits to his brothers because of past Lego smashing incidents. Gerry explained the “choice-o-meter” and how it worked. After this, they made a “Tell-You-What-To-Do-In-The-Shower 3000”. Together. 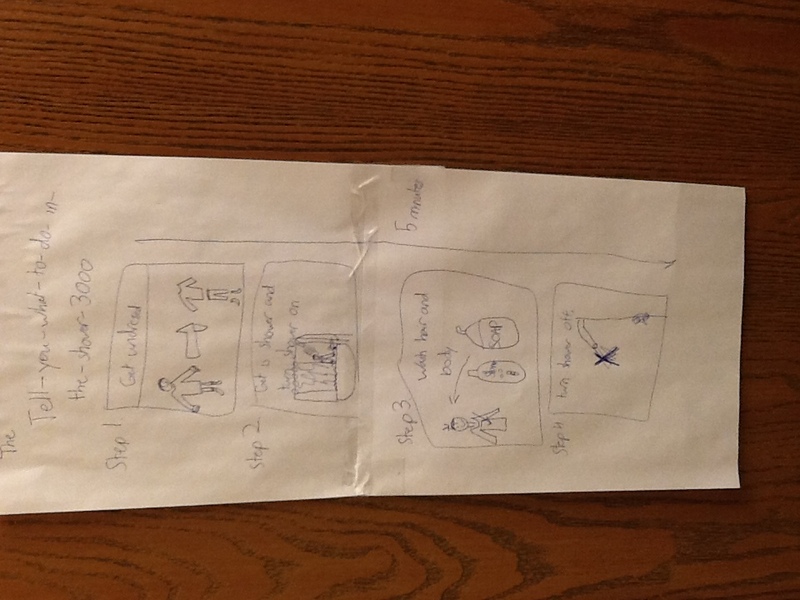 It was a four step illustration of how to take a shower, from getting undressed to turning off the faucet. we may watch too much "how it's made"
Howie jumped up and down and begged to take a shower right at that moment. Tonight, right before dinner, Gerry came down from his room with an idea for “invention #3”. Let’s start with seven, I said. Just to see how it works. “Perfect!” Gerry ran off back to his room. My calls of “don’t forget you still have homework to do!” were completely ignored. Arrgh! You will eat your dinner! The map starts with all the stars off, and with each bite Howie takes, he puts a star on the map. But be careful as you go near “Skull Rock” and “Pirate’s Pond”. Howie’s behavior therapist happened to be here tonight, so I had Gerry show it to her. We’ve spent months trying to figure out how to get Howie to eat…anything. We sat at the table for a pasta dinner. Something Howie will never eat. Gerry and the therapist explained the map to him and put it by his plate. 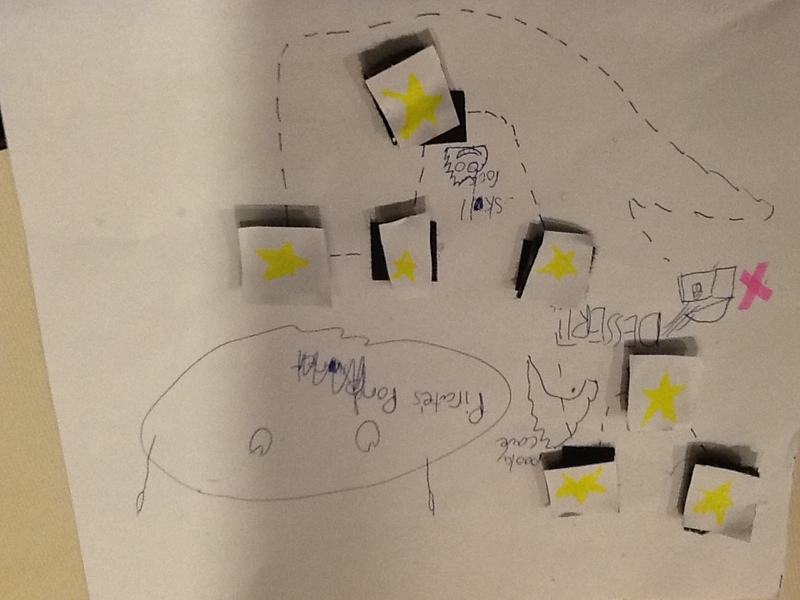 I told Gerry to let Howie’s therapist be in charge of the map and stars so that Gerry could just eat his dinner. Fifteen minutes later, all the stars were on. One piece of pasta at a time. But he ate it. I’m not sure which kid was more proud. I have no idea what spurred this on. Maybe it was the Brain Pop video. Maybe it’s Gerry’s need to try to “fix things”, just like his dad. Not cure, but make it better. Through inventions and ingenuity. Or maybe it’s just purely out of love for his brother. The overwhelming love that makes him want to help his little brother succeed in life. Whatever it is, I know they will be okay. It won’t always be pretty. Or perfect. Or easy. But they’ll have each other. That I know for sure.